It, the long awaited film adaptation of Stephen King’s classic creepy clown horror novel, is now in cinemas. It’s the latest in a long, long line of movies based on King’s work. Three King adaptations have been released this year alone: the aforementioned It, The Dark Tower and Netflix’s adaptation of The Mist. But which of the many King adaptations is the best? Here are our favourites. Although King is typically associated with horror, Stand By Me remains one of the most popular adaptations of his work (including with King himself). Directed by Rob Reiner, this coming-of-age drama sees four boys (played by River Phoenix, Corey Feldman, Jerry O’Connell and future The Big Bang Theory favourite Wil Wheaton) head to the woods in search of a corpse. What starts as a speculative trip for four bored youths soon becomes an unforgettable adventure that emphasises the importance of friendship. The Shawshank Redemption, directed by Frank Darabont, was adapted from King’s 1982 novella Rita Hayworth and Shawshank Redemption, which first appeared in his collection Different Seasons. It follows Andy Dufresne, a banker who is convicted of murder (despite protesting his innocence) and sent to the Shawshank State Penitentiary. There, he befriends a fellow inmate named Red and together, they try to survive violent fellow prisoners, sadistic guards and a corrupt justice system designed to keep them incarcerated. The Shawshank Redemption was a box office flop at first but has since become one of the most popular movies of all time; indeed, it’s still holds the #1 spot on the IMDB 250. After the success of The Shawshank Redemption, Frank Darabont took on another of King’s prison dramas: The Green Mile. The Green Mile is the story of John Coffey (played by Michael Clarke Duncan), a child-like gentle giant on death row for murder. However, officer Paul Edgecomb (Tom Hanks) suspects that he’s actually innocent – especially after Coffey begins to demonstrate supernatural powers. The Green Mile is renowned for its ability to make even the toughest of people cry and is gripping, heartbreaking and inspirational throughout its three hour runtime. The third of King and Darabont’s collaborations is a lot bleaker than the previous two. The Mist focuses on a group of people forced to take refuge in the supermarket after a ‘mist’ containing horrific creatures envelops their town, although relations between the group soon take a turn for the worse. With its terrifying monsters and a group of survivors gradually losing their minds and their patience with each other, The Mist is an obvious forerunner to Darabont’s hugely popular adaptation of The Walking Dead. Without spoiling too much, Darabont famously changed the ending of King’s original novella. The result is truly stunning. Even King agreed that the new ending is better! The Mist was recently adapted as a TV series too, although reviews are mixed. Many people consider Stanley Kubrick’s adaptation of The Shining to be the best horror movie ever made. Stephen King is not one of those people. King famously hates Kubrick’s adaptation, lambasting it for making main character Jack Torrance seem crazy from the start and it’s “misogynistic” portrayal of Jack’s wife Wendy. Critics disagree, however, praising the film for its nightmarish portrayal of Jack’s descent into madness as he tries to write a novel in the confines of the Overlook Hotel. The film is a cultural classic, with various scenes like the appearance of the twins, the blood wave and, of course, ‘here’s Johnny’ parodied countless times. King’s first novel was adapted for the screen by Brian De Palma, who would go on to direct Scarface. There are some differences between De Palma’s adaptation and King’s book, but the director still captures the tone of King’s novel perfectly; the prom scene in particular is a heady mix of dream-like imagery and pure horror. Of the many, many King adaptations released in the 80s, Children of the Corn is one of the most iconic. It follows a 12 year old named Isaac who indoctrinates a town’s children into a murderous cult. The children then sacrifice the town’s adults in the name of a deity called ‘The One Who Walks Behind the Rows’. And you thought the kids round you were badly behaved! Children of the Corn didn’t receive the best reviews from critics but has become a cult favourite, with a parody in a Treehouse of Horrors episode of The Simpsons introducing it to a new legion of fans. David Cronenberg, director of The Fly and Videodrome, is arguably the perfect director for King’s work; he too specialises in high concept horror that is by turns disgusting and thought-provoking. Sadly, Cronenberg only directed one King adaptation – but it’s a good one. The Dead Zone is based on King’s 1979 novel of the same name and follows schoolteacher Johnny Smith (Christopher Walken) who gains psychic powers following a near death experience. Cronenberg’s masterful direction and an excellent performance from Christopher Walken make The Dead Zone one of the tensest, enthralling and unforgettable King adaptations to date. It hasn’t been out long, but it’s already joined the sacred ranks of good King adaptations with an impressive 87% score on Rotten Tomatoes. 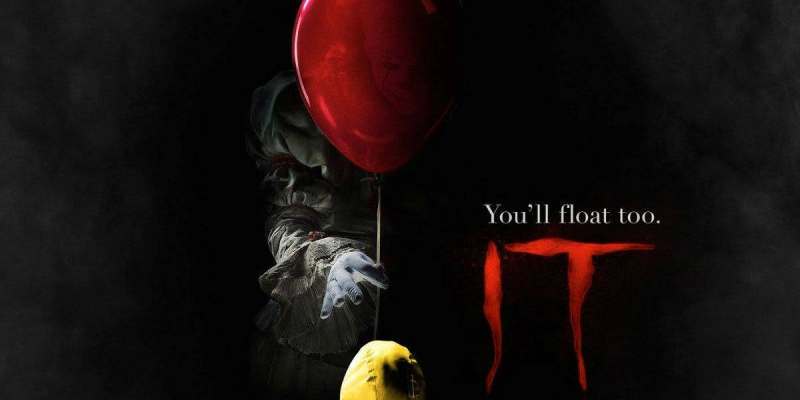 Adapted from one of King’s best loved (and most controversial) novels, It is the story of a group of kids who are terrorised by Pennywise, a horrifying and seemingly supernatural clown. Whether or not it’s as good as the classic 90s miniseries is up for debate, although one thing is for sure: It is a fantastic adaptation of a fantastic novel. Despite being a hugely successful novelist, you’d be forgiven for thinking Stephen King doesn’t like writing that much; more than a few of his stories star writers either going mad, suffering from writer’s block or being terrorised by supernatural forces. None of King’s writer characters have a worse time than romantic novelist Paul Sheldon (James Caan), though. After careering off the road in a snow storm, Sheldon is ‘saved’ by a nurse named Annie (Kathy Bates), who just happens to be one of his biggest fans. To show his gratitude, Sheldon shows Annie the manuscript for his new novel… and she hates it. And, being the passionate type, she expresses her hate in a series of horrific and violent ways. Bates is so good as the psychotic Annie that she took home the Best Actress Oscar, a rarity for an actress in a horror movie. What is your favourite Stephen King adaptation? Let us know in the comments. Love Stephen King movies? Check out our amazing Stephen King collection on the musicMagpie Store today, where you’ll find the best King adaptations at amazing prices plus FREE delivery. Why wouldn’t you?